Join guitar virtuosos Carl Verheyen, Gretchen Menn, Neil Zaza, Jon Finn, Rob Balducci, Mike Martin and Chris Green as well talk all things guitar on a Google+ hangout! 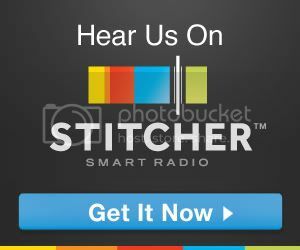 Covering everything from songwriting, marketing, touring and developing a fan base. Tweet us at @LFMCRadio to ask your questions and listen to some of music’s most prolific instrumentalists tell you how to beat the challenges of the music industry. Date: TBD – Due to technical issues, this hangout is being rescheduled. Please check back for the new date and time! A member of the smash hit British rock group Supertramp since 1985, Carl has played to millions of enthusiastic fans in sold out arenas worldwide. 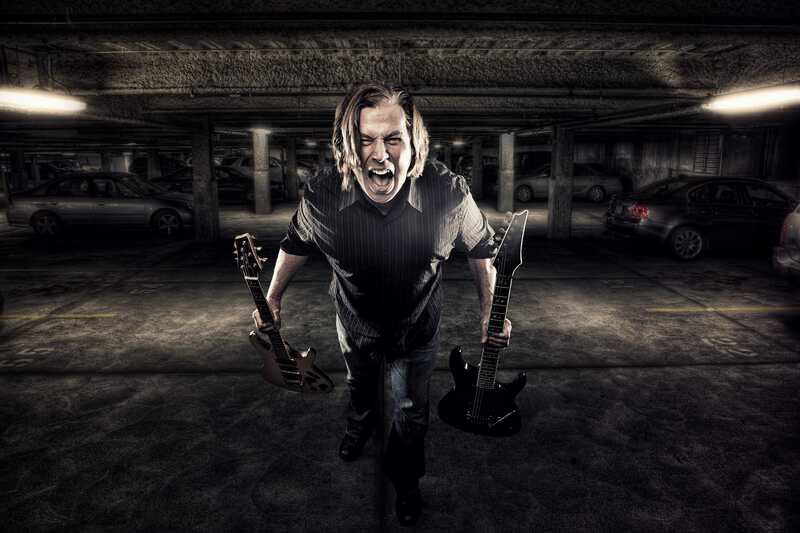 As the creative force behind The Carl Verheyen Band, he has released an impressive and eclectic discography that showcases his endless talents across a wide array of musical genres. A much sought after studio musician, Carl plays on other artists’ CDs whenever his busy schedule permits. He has recorded and played with a virtual who’s who of the music industry. His vast collection of movie soundtrack and television credits are enviable. Carl was heard by 67, 000,000 people as a featured soloist at the 2009 Academy Awards. He will also be heavily featured in the forthcoming film documentary about the electric guitar, Turn It Up! 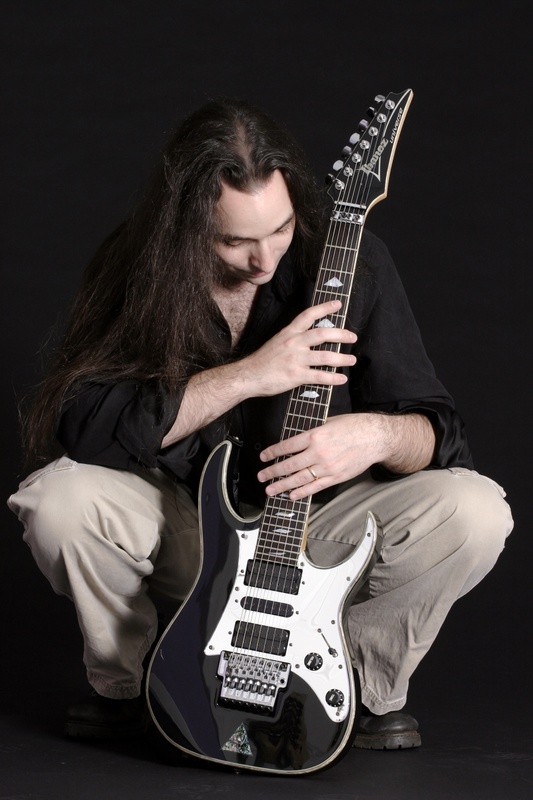 On the educational front, Carl has produced two instructional videos called Intervallic Rock Guitar and Forward Motion as well as various on-line lessons. He also has a book/CD detailing his unique “intervallic” style called Improvising Without Scales. Another book entitled Studio City is a compilation of all the columns Carl wrote for Guitar Magazine between 1996 and 1999. He has written a monthly column for Chitarre, Italy’s #1 guitar publication as well as Guitar World and Guitar Jam Daily, a website devoted to serious guitarists. He currently writes a monthly column for Guitar Player, contributes to other guitar publications, and blogs regularly for GuitarPlayer.com and his own site. Carl also lectures and teaches at clinics regularly when not on the road. Carl recently co-designed a signature guitar with LsL Instruments, the “CV Special,” combining the best elements Carl seeks in his ideal guitar; they are now available for purchase worldwide. As if that weren’t enough, working closely with Dean Markley, Carl developed a line of signature strings for the electric guitar that perfectly balance the tremolo bridge of the Fender Stratocaster, the Carl Verheyen Balanced Bridge Helix HD string set . Also working with Dean Markley, Carl helped develop a top-of-the-line guitar lubrication, Tuba Luba, in addition to his numerous existing endorsements. 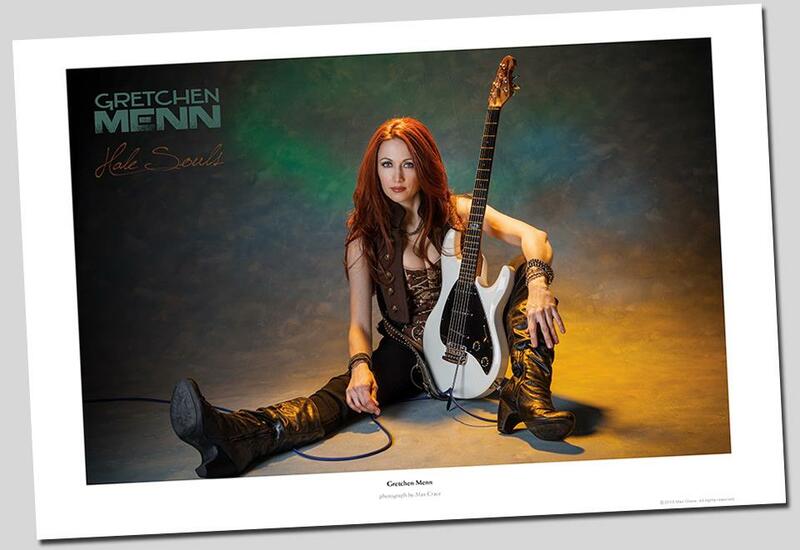 Rapidly gaining praise in the world of instrumental rock and beyond, Gretchen Menn isn’t your average guitar hero on the rise. She once flew regional jets to support her six-string habit. She has studied, in equal parts, the music of Mozart, Beethoven, Steve Morse, Frank Zappa, and Jimmy Page. (Regarding the latter composer, she performs the music of Led Zeppelin professionally all over the U.S. with Zepparella.) Perhaps Michael Molenda, Guitar Player Magazine’s editor-in-chief, described Gretchen’s solo music best when he said that she “seeks the unknown by blending disparate jazz, prog, and world-music influences into a tasty, guitaristic thrill ride.” Her first solo album, Hale Souls, released in July of 2011, is an instrumental album of original compositions that range from aggressive to celestial. 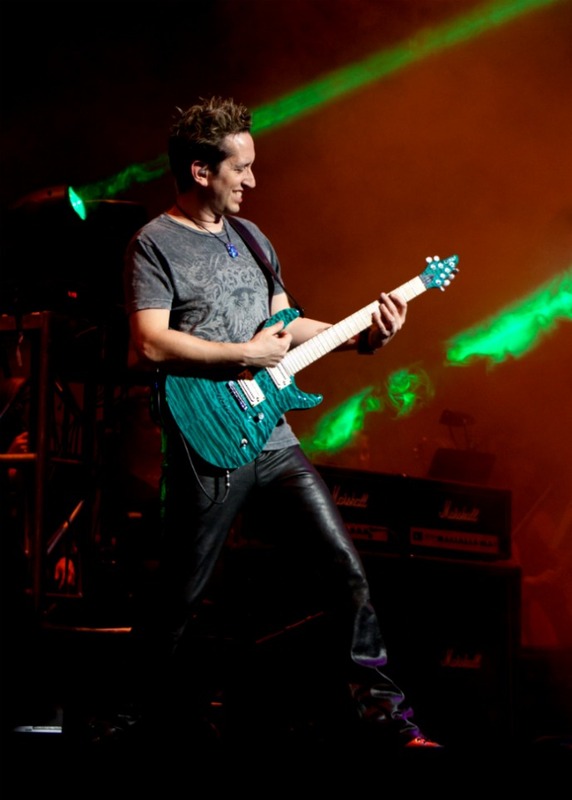 Neil Zaza worldwide touring has cemented him as a true guitar phenomenon. He’s played alongside and shared the stage with such guitar luminaries as Joe Satriani, Steve Vai, Yngwie Malmsteen, and Nuno Bettencourt. His recordings feature collaborations with Van Halen’s Michael Anthony, Dream Theater’s Jordan Rudess, drumming legend Steve Smith, Peter Frampton among others. Neil Zaza’s mastery of the guitar amasses accolades from all sources. While he continues to transform the world of instrumental rock music one melody at a time, it’s his fiery interpretations of holiday repertoire fused with Classical melodies and classic Rock that is the basis for his One Silent Night… concert series. Neil, his band, and an orchestra/choir aren’t just performing holiday music with One Silent Night…-they are literally reinventing it! Now, with his latest release entitled 212, Neil has set the melodic bar even higher with a project taking his melodic stylings to even greater heights. 212 boasts songs that put composition and melody on par with his stunning guitar prowess. The combination is deadly and sure to set the watermark for how expressive and emotive a guitarist can be. In his freelance pursuits, he’s played guitar for the national touring companies of many contemporary musical theater productions such as Rent, Aida, Mamma Mia, Grease, Joseph and the Amazing Technicolor Dreamcoat, Copacabana, and many others. Today Jon frequently performs and records with the Boston Pops Orchestra, and has been involved in a plethora of concerts and recording sessions, including 6 CDs (two of which were Grammy nominated), 8 US concert tours, and one tour in Asia. 2009 has been a busy year, not only has Balducci recorded Violet Horizon he also collaborated with Bassist Randy Coven and drummer John Macaluso on a new CD that will be coming out on BHP/NuGroove records. The CD features songs written by Randy, Rob and John and is produced by Emmy Award winning producer Brian Tarquin. Joining Rob on this CD is fellow guitar players Steve Vai, Leslie West and many more…. Rob is currently working on his debut instructional DVD which will be released through The Rock House Method company. His stellar guitar stylings can also be heard on “Rewired: A Tribute To Jeff Beck,” “Crushing Days: A Tribute To Joe Satriani” and a salute to Carlos Santana. Rob Balducci has the pleasure of working with and endorsing Ibanez Guitars, Cornford Amps, Intellitouch tuners, D’Addario Strings, Dimarzio Pick-ups, George L’s cables, Morley pedals, Keeley Pedals, Xotic pedals, Dunlop, Maxon and performs clinics around the world in support of these companies. Discouraged by the trend in “anti-guitar-solo” music, Mike did the only thing he could think of: Go To College! Here he studied Music Theory and Composition with Dr. David Maves, ASCAP Composer of the Year 1995. He also continued his Classical guitar studies with Mark Regnier and Jazz studies with pianist Tommy Gill. After graduating in 1999, Mike moved back to Atlanta to pick up where he had left off. He soon found work in the thriving Atlanta Blues Scene as a mercenary sideman for hire which gained him the honor of being included in a historic photo of GA blues musicians now on display in The Georgia Music Hall of Fame in Macon, GA. Mike also had great success performing with his Nuevo Gypsy/Flamenco duo with Ed Wier. Mike began showcasing his writing with the group The Hybrids in 2000, which ultimately lead to starting a group under his own name in 2002. Being in close association with the band Stuck Mojo, Mike was asked to perform on their long awaited album “Southern Born Killers”. After having toured with the band multiple times and appearing as a guest in the upcoming DVD release “Live at the London Underworld”, Mike joined the band as an official member and second guitarist to Rich Ward in 2007, appearing in the music video for “I’m American”. 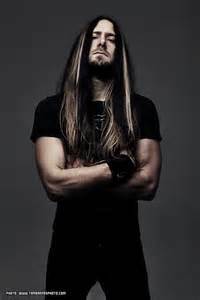 During Mike’s time with Stuck Mojo, they toured extensively throughout Europe with Vol Beat and Ektomorph, as well as signed with Napalm Records to release “The Great Revival” in January of 2009.
but more importantly, it is a synergistic example of all that Mike has to offer and a tip of the hand as to what he will be up to on his next projects. During his tours of duty with FOZZY, The Duke, and Stuck Mojo, Mike seized upon the opportunity to build a project studio at his home so he could begin to produce his solo projects. The first of which was the instrumental album “2 of 5”, originally released the Summer of 2006 independently on Serpa Records, and now available worldwide through Steve Vai’s Digital Nations Division of the Favored Nations record label. “The title is a reference to the Borg character ‘7 of 9’ on Star Trek,” says Mike. “I am the second of five children so I thought it was pretty clever.” With the new Vai DN partnership, and the critical acclaim and success of “Wormwood”, 2013 is poised to be the year Mike gets his band touring properly as well as working on a new music set to be released in 2013. Mike worked with Atlanta projects Agent Cooper (featuring members of Fozzy, Stuck Mojo, The Duke and Salem Ash) and The Nominees (featuring members of doubleDrive and Speed X). Touring Europe opening for Tony MacAlpine in 2012. 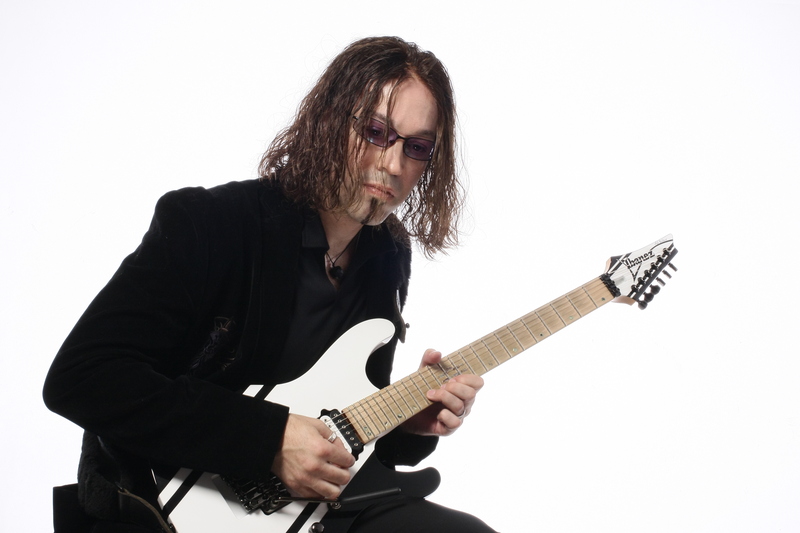 Guitarist Chris Green has had the pleasure of playing in a long list of powerful rock bands, including Furyon, Nelson, Scrap Metal, Defcon, Firehouse and Pride. In 2008, the UK band, “Furyon” recorded their debut album with platinum-selling producer Rick Beato. His most recent project is a collaboration with CJ Snare, “Rubicon Cross,” as well as writing an instrumental album yet to be released. This entry was posted on Tuesday, April 2nd, 2013 at 10:33 am	and tagged with Bitchstraps, Blog Talk Radio, Blues Guitar, booking, Carl Verheyen, Carvin Guitars, Chris Green, Country Guitar, David Lowry, Dean Markley, DiMarzio, endorsements, Engl, Entertainment, Ernie Ball, Fender Guitars, GHS Strings, Gretchen Menn, Guitar, Guitar Instrumental, Guitar Player, Heavy Metal, Ibanez Guitars, Indie music, Indie Musicians, Interview, Jon Finn, Live From Music City, lsl instruments, Marketing, Media, Metal, Metal Guitar, Metalholic Magazine, Mike Martin, Music, Music Business, Music Man, Musicians, Nashville, Neil Zaza, Performance, Pop Music, PR, Prog Rock, PRS Guitars, Radio, Rob Balducci, Rock Guitar, rock music, Sadowsky, Santa Cruz Guitar Company, show, Social Media, Songwriters, Songwriting, Stewart Guitar Cabinets, The Lowry Agency, Touring, Wechter Guitars and posted in News. You can follow any responses to this entry through the RSS 2.0 feed. « Maragold on Live From Music City May 9th!